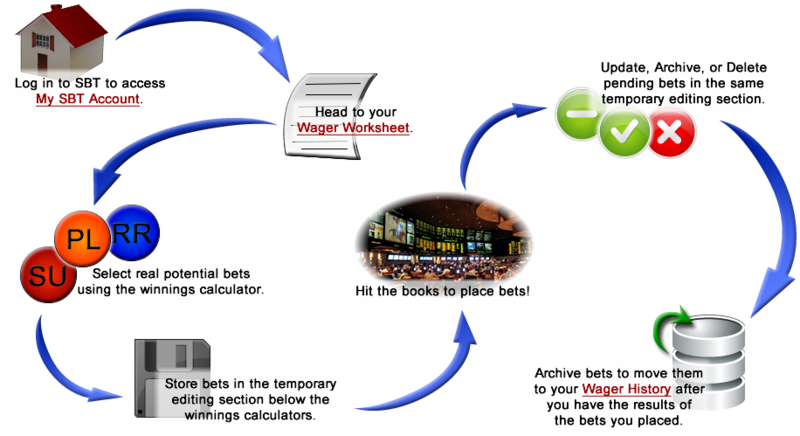 The Wager Worksheet and Wager History Sections of SportsBetTech.com are designed to enable all of our Subscribers to track their wagering history with precision and ease. All you need to do is select the games and enter the wager amounts you intend to place with your sports book operator... and SportsBetTech.com will automatically calculate the results. 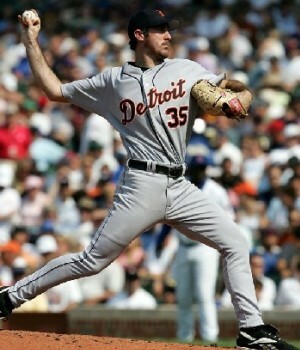 Rotation #/Team: will only display the games set for today's schedule. Odds: the gaming money line odds will automatically populate in the ODDS data field. You will not be able to change the Odds manually unless you click the CUSTOM checkbox manually enter the entire game date wager data. Straight Up Wager Amount: located at the top of the data entry screen, it defaults with an entry of $100. You may change the number to any amount. Calculate Bet: click the Calculate Bet button to compute the Net Winnings based on the amount of your wager and the Odds on that Wager. You can change the Wager Amount and re-calculate as many times as you desire without having to re-enter the game information. Reset All: if you do not want to save the gaming data you entered, you can either click the Reset All button or, if you are done with the page, you can navigate to another web page. Save Straight Up Bet: if you are satisfied with the data you have entered and wish to save the data to the Wager Management Section in the lower portion of the Wager Worksheet page, just click the Save Straight Up Bet button. 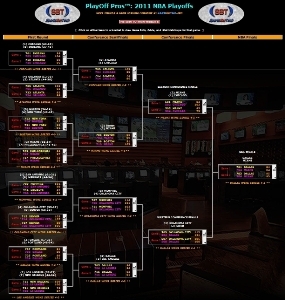 Your wager entry will display in the Straight Up section below the wager entry section on the page. Click the Tab that reads Parlay. You can utilize the automated data entry fields or click the CUSTOM checkbox and manually enter data in all of the respective data fields. The data entry fields and functionality is identical to those of the Straight Bet window. Note: to enter the results of a Parlay wager, you will need to enter the results of each game in the Parlay, and then select the Update button for the entire Parlay. If any of the games (legs) is a Parlay lose, the entire Parlay will be a loser. 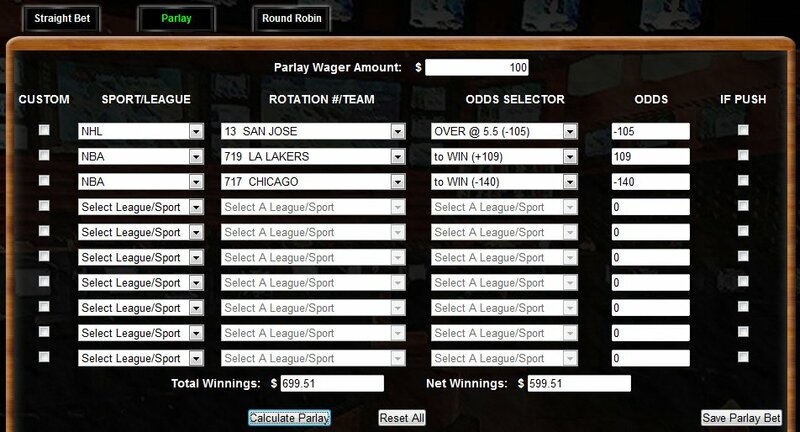 If any of the games (legs) in a Parlay result in a Push, then the number of teams in the Parlay is automatically reduced by the number of games that ended in a Push. SportsBetTech.com will automatically calculate the adjusted results. Click the Tab that reads Round Robin. You can utilize the automated data entry fields or click the [Custom] key and manually enter data in all of the respective data fields. Note: to enter the results of a Round Robin wager, you will need to enter the results of each game in the Round Robin, and then select the Update button for the entire Round Robin. If any of the games (legs) is a Round Robin Loss, then the number of teams in the Round Robin is automatically reduced by the number of games that ended in a Loss. 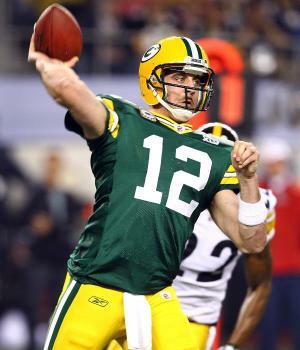 A game resulting in a Push will also be computed properly by SportsBetTech.com to adjust the final results. Adjust your wagers to reflect your results. Note: You must fill out all the "Results" fields (Win, Loss, or Push) before you can Archive your selected bets. Select the appropriate checkbox for each bet, then click the "Update" button at the bottom to complete all the desired actions. Note: Deleting a bet permanently removes the bet from our system. Note: Archiving a bet moves it to your Wager History page.